This is one of the awesome inspirational stories about friendship for kids. Once upon a time, there lived two best friends named Kim and Ray. They were very close companions. They lived nearby and studied at the same school. Not only this, in the later years, they were colleagues at work. Also, read Two Friends And A Talking Tree. 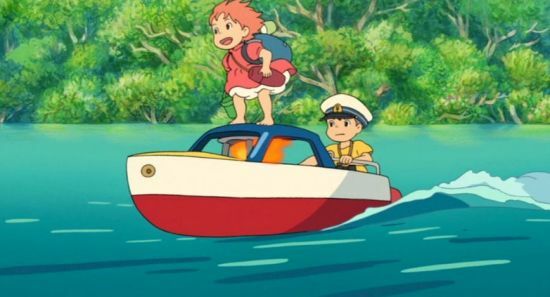 One day, they decided to go on a sea voyage to explore exotic lands. They started their voyage in a cruise ship and traveled over great distances. In the passage of their trip, the weather turned very destructive. The ship was ruined in the middle of the ocean. Many passengers were killed, but Kim and Ray somehow managed to swim to a nearby island. The island was completely deserted as there were no trees. Kim and Ray realized that they could not survive on the island without divine intervention. They decided to pray to God. Kim and Ray wanted to see whose prayer would be more powerful. Kim moved to the eastern tip of the island, knelt down and began to pray there. Ray chose to go to the western tip of the island and prayed there. Kim prayed to God to give him food so that he could survive. To his surprise, he got a pile of food, fruits, and vegetables on the seashore. After two days, he requested for a beautiful girl as his wife as he was feeling very lonely on the island. In a few hours, there was a shipwreck near the island and a lone survivor; a beautiful girl. Kim married the girl. Whatever Kim prayed for was granted to him. Kim was surprised to hear said and asked, “May I know who is this? Whom are you referring to? I have my wife with me!” The voice said, “I’m the one to whom you offered your prayers, whom you requested to save your life, and whom you requested food and shelter and of course, a wife!” You may also like to read, A Special Friendship. Kim was in tears and rushed to the other side of the island. He realized that he had completely forgotten about his dear friend Ray and was happily enjoying his own life. Kim could not find Ray there. He asked God, “Where is Ray?” God replied, “I took him with me. The man with the golden heart should be with me! But I will fulfill all your prayers as I promised him to do so!” Also, read True Friendship. Kim was completely shattered at this. He realized why his friend’s prayers were more powerful. It was because Ray’s prayers were completely selfless. MORAL OF THE STORY: SELFLESSNESS IS THE HIGHEST FORM OF PRAYER.